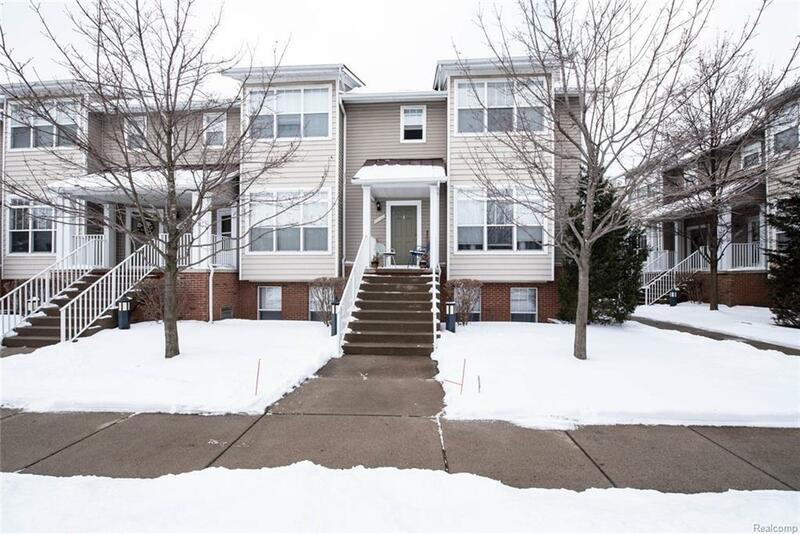 Charming 4 bed/3.5 bath condo in Utica! You'll love the open concept of the main level that offers a spacious living room with tons of natural light, gas fireplace, dining area, and kitchen that features granite counters, great storage, crown molding, island, and all appliances stay! There is a large bedroom on the main level along with 1.5 baths for your convenience and upstairs you'll find a 2nd-floor laundry room, 3 sizeable bedrooms, and 2 more full baths! Off the kitchen is the balcony where you can host BBQ's or sip on your morning coffee and there's tons of added storage in the attached two car garage! You'll enjoy spending the summer days soaking up the sun in the community pool or relaxing in the Jacuzzi at the clubhouse.